June 7, 2011- Egypt’s decision to turn down International Monetary Fund (IMF) and the World Bank is a bold move, given that the country’s fiscal situation remains fragile. In April and May this year, the Egyptian government had estimated that the country had a financing gap in the range of $9-11 billion during 2011/12, and reached out to their bilateral and multilateral partners, including the IMF, for financial assistance. The IMF’s 12-month stand by agreement amounting to $3 billion. “This arrangement would have supported the government’s homegrown economic plan, which aimed at promoting social justice through higher social spending, preserving macroeconomic stability, and designing a road map for reforms after the elections,” says Ratna Sahay, Deputy Director of the Middle East and Central Asia Department at the IMF. However, the effort to keep Egypt’s fiscal deficit within a safe range, the Egyptian Government revised downwards its FY11/12 deficit target to EGP134.3bn instead of the earlier level of EGP170.8bn, a move to be supported by reduced spending. This supports a debt to GDP ratio of 81%, vs. an estimated 83% in FY10/11, estimates Cairo-based CI Capital. The government now says financial assistance from the World Bank and the IMF are not needed for the time being, as this deficit could be covered by domestic sources supported by grants and aid from various friendly countries and international organizations. While both the IMF and Egypt have struck a conciliatory note, the speculation is rife that Egyptian authorities bowed to public pressure not to seek funds from western agencies, especially those that praised the economic policies of the previous regime. There was also speculation that the IMF aid came with too many strings attached and ‘hidden or unannounced conditions’. Of course, any effort to shun financial aid and tighten the belt to make ends meet is exemplary. It is a commendable move that shows the determination of the new, free Egypt. But after spurning the IMF, the Egyptian Prime Minister’s next move was to head to the UAE, and announce that it needs $2.34-billion in financial aid from Arab countries. “With the help of Arab countries we can make it for about a year,” Radwan said on a visit to Abu Dhabi, the capital of the United Arab Emirates, according to a media report. If aid from the Mubarak-praising IMF was unacceptable, then it is important to note that the Gulf States were just as supportive to Mubarak and were, in fact, one of the biggest foreign investors in Egypt. Presumably, the Gulf aid comes with few strings attached. Qatar recently gifted $500-million to Egypt. In addition, Qatar is looking to invest $5-billion to $10-billion to create much-needed jobs in Egypt. Similarly, Saudi Arabia has offered $4-billion in aid, including a $1-billion deposit at the Central Bank of Egypt, $500-million in bond purchases, $500-million for budgetary purposes and a soft loan worth another $500-million. to Egypt. Jeddah-based Islamic Development Bank allocated USD2.5bn for development projects in Egypt over the next three years,” notes CI Capital Research. It is quite ironic that the country that was at the forefront of the Arab Spring is now aligning itself closer to a region that was opposed to the end of Hosni Mubarak’s regime. Of course, the Gulf has a clear motive to support Egypt. The regional bloc has embarked on a Saudi-led mission to increase its sphere of influence in the region. Jordan and Morocco have already applied to join the Gulf Co-operation Council (GCC), and Egypt would be an excellent candidate for the bloc, as Saudi Arabia looks to close ranks with like-minded states and thwart Iran’s efforts to take advantage of instability in the region. But while getting Egypt on their side would be a great coup for the Gulf States, it may not sit too well with Egyptian citizens who have been out on the streets, ensuring that the authorities do not deviate from the path of self-determination and freedom. This street pressure to do the right thing is a double-edge sword for Egyptian authorities. As the country transitions from a dictatorship to a caretaker government, it is being forced to make populist moves to appease its citizens. “In a break with the previous regime’s perceived failure to generate sufficient new jobs to absorb the bulging workforce, new policies are explicitly more populist,” says Citibank in a May note to clients. After spurning the IMF, could aid and loans from other western parties also be in jeopardy? So far, none of the other international agencies have commented on the issue. 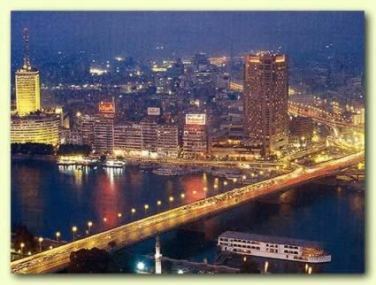 But analysts say that by focusing on Arab states for support, Egypt is concentrating its financial risk. It would have been much better if it had spread its loans and aid streams, rather than relying heavily on one region. Analysts remain divided whether the Egyptian authorities were being populist or wise. “Egypt… has a relatively modest stock of external debt—equivalent to about 16% of the GDP—and does not have any urgent need to finance its debt service payments over the next 12 months,” remarks EIU. Whether anyone agrees with the Egyptian authorities or not, it is clear that the economy faces considerable challenges. The country’s real GDP in the third quarter (of its fiscal year) declined 4.2%. “This came on the back of a significant decline of 31.5% YoY in implemented investments and the decelerated growth in private spending, where growth slowed to 3.5% YoY compared to the 5.1%YoY rise in 3Q09/10. Reduced spending was a reflection of the 11.9% unemployment rate,” estimates CI. There is also talk that Egypt’s current borrowing arrangement will overburden domestic credit markets. The IMF says that under its agreement, Egyptian government’s external debt as share of GDP under the arrangement would have increased temporarily, by less than 2 percentage points, to about 17% of GDP, which is a very low level. Borrowing from abroad would have been relatively cheap, as global interest rates are very low. In the case of the Fund, the interest rate is currently only about 1.5 percent compared to more than 12 percent that the government has to pay when issuing domestic Treasury bills, says the IMF’s Ratna Sahay. The military authorities have now approved the revised budget for 2010/11. The earlier draft budget aimed at supporting the economic recovery through a moderately expansionary fiscal policy and a financing strategy that brought resources from abroad at favorable terms, says the IMF’s Sahay. Perhaps it is not for a transitional government to agree on major financial commitments on behalf of a yet-to-be-elected government. The cache of IMF involvement would also have made other foreign institutions more open to buying Egyptian debt, and generally eased the country’s fiscal situation. Then again, Egypt can well survive this, and indeed prosper without the IMF. But with its economy fragile, the country would have befitted from the extra help and not dependent on a smaller pool of well wishers.